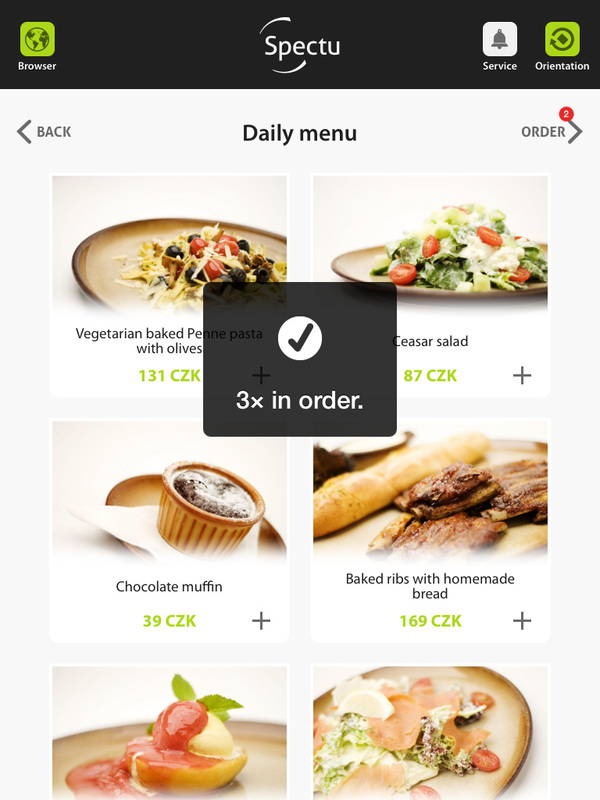 Spectu allows customers to place an order and send it to the kitchen. Spectu not only speed up your service, but also improve its quality. Thanks to ordering your customer will experience a whole new experience of the ordering process. Ordering includes two steps. The first step is to select products and place them to the order. Customers can order a item with button in product detail or for faster ordering with symbol „+“ in the menu. After adding a product to the order there will a order button show up in the upper right corner. The red number indicate unsent items. 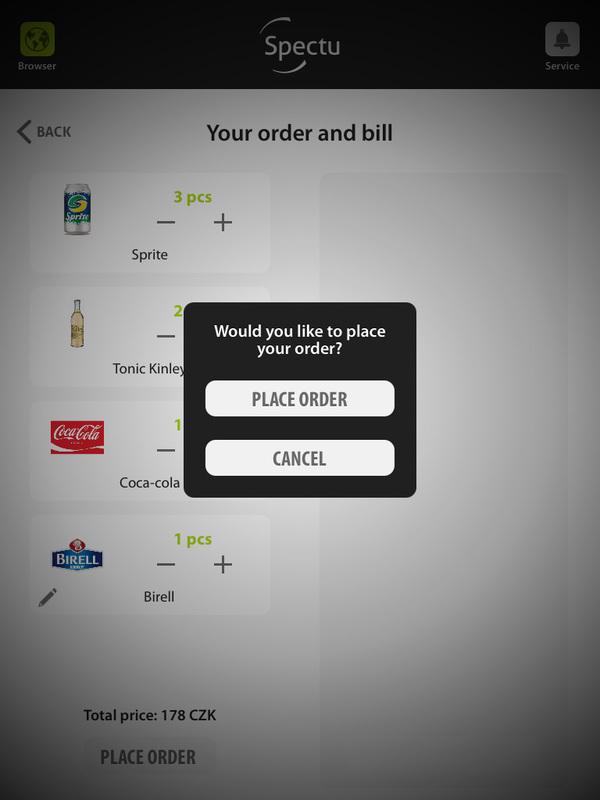 With order button customers can send order to the kitchen. Items will appear on the bill in order screen. Another benefit of ordering throught Spectu is speeding up the operation of order. Imagine that you come to a fast food restaurant and instead of waiting queue you can select a meal on the iPad. Food is than ready at the checkout, where you’ll just pay. This type of order is great for customers who don’t looking for a dining experience, but only for quick serve. In this way Spectu not only speed up your business, but also save you the cost of the waiters, which may be less qualified. 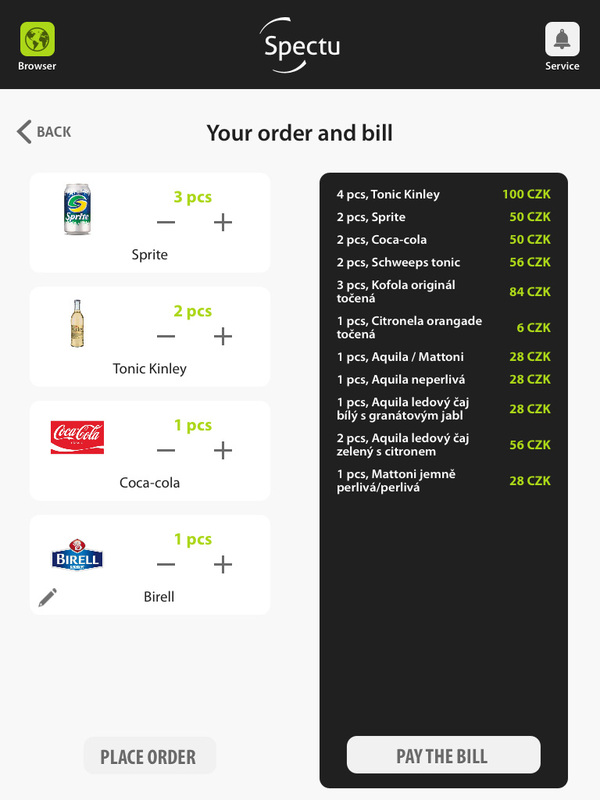 We are aware that ordering is not appropriate in every restaurant and so we developed Spectu without ordering. However progressive and modern-minded businesses will attract new customers in this way. The first project with ordering we launched in Calgary and in social media were iPads at the first place. Comments from customers can be found here.